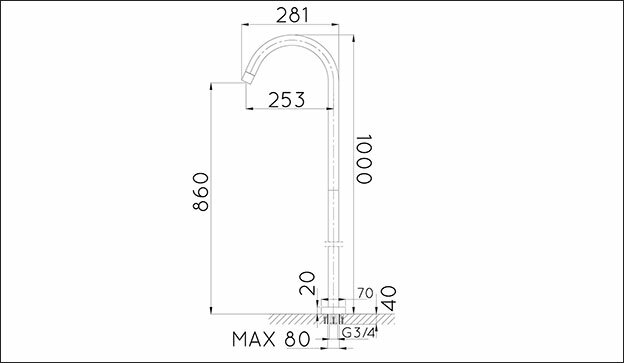 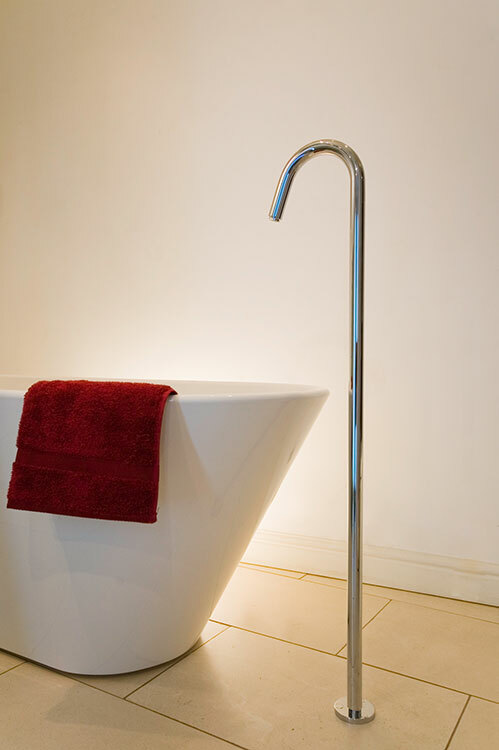 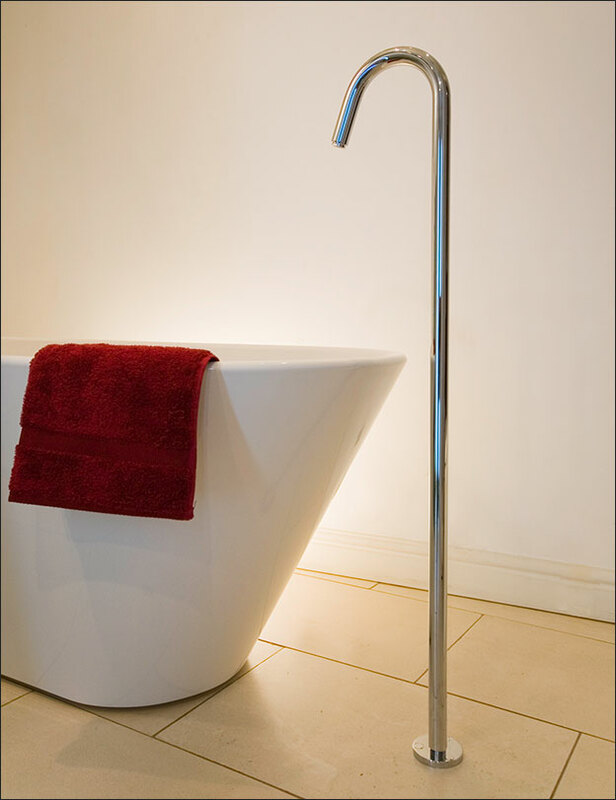 The Fresh contemporary floor standing filler spout can be used as a bath filler or basin filler. 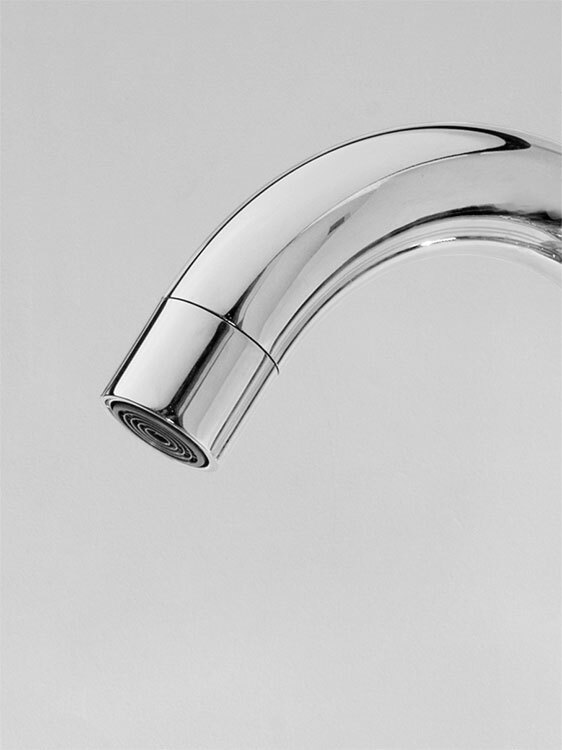 (must be used with a separate water mixer control valve) All bathroom taps are finished in chrome. 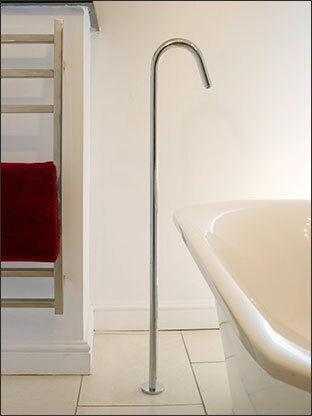 * Easy mixing of hot and cold. * Minimum of 1 bar water pressure.